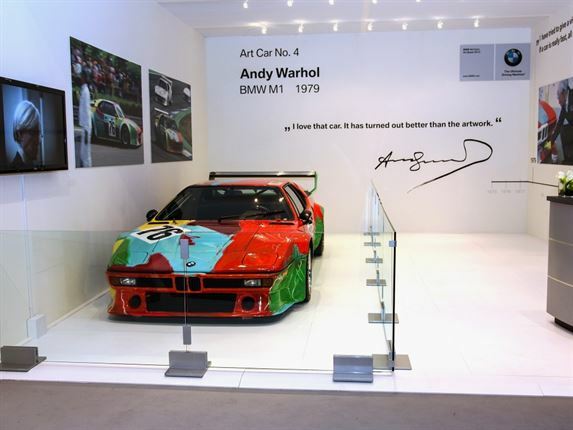 JEFF KOON'S BMW ART CAR: Artist Jeff Koons and the 17th BMW Art Car at the Tour Eiffel in Paris 2010. 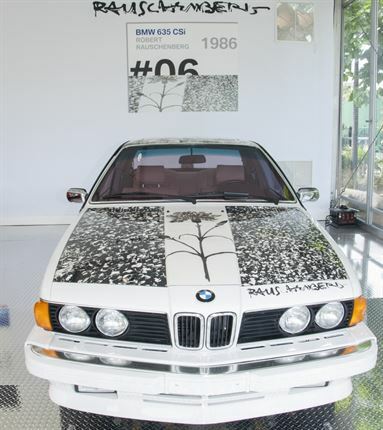 Image: BMW . 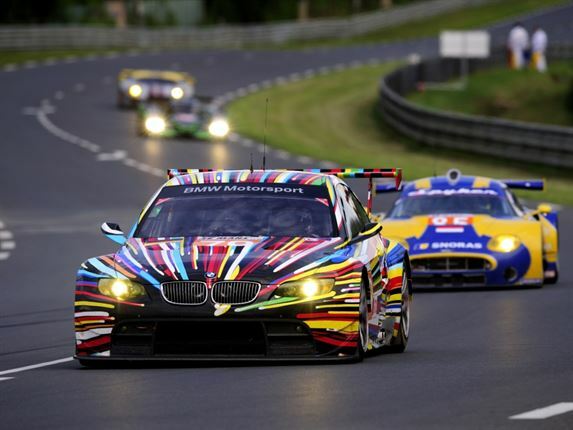 RACING AT LE MANS: Team BMW Motorsport's M3 GT2, the Art Car designed by Jeff Koons, racing at the 2010 Le Mans 24 Hours. 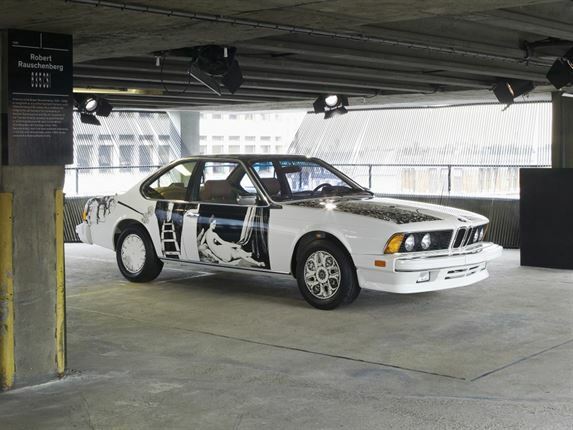 Image: BMW. 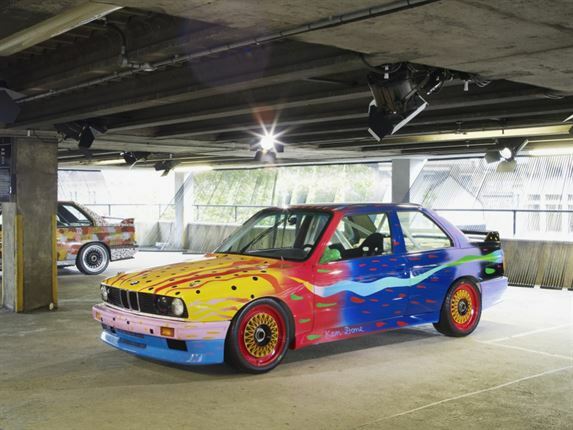 ART CARS ON SHOW: BMW Art Car exhibition at the BMW Museum in 2010. 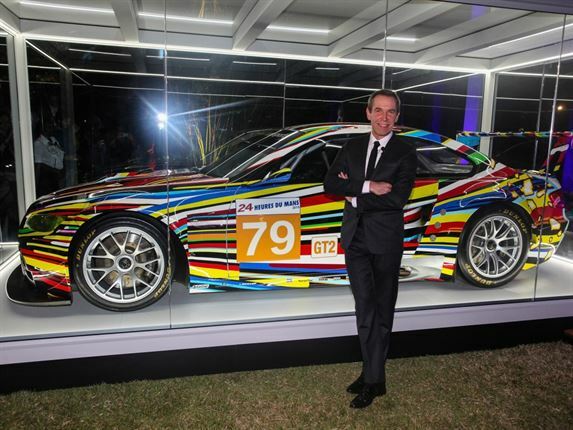 From left - Jeff Koons 17. 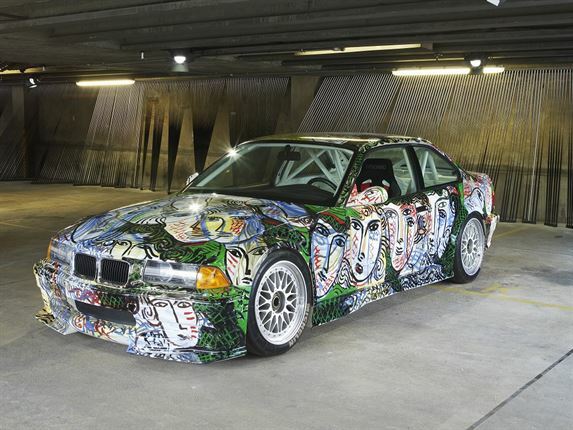 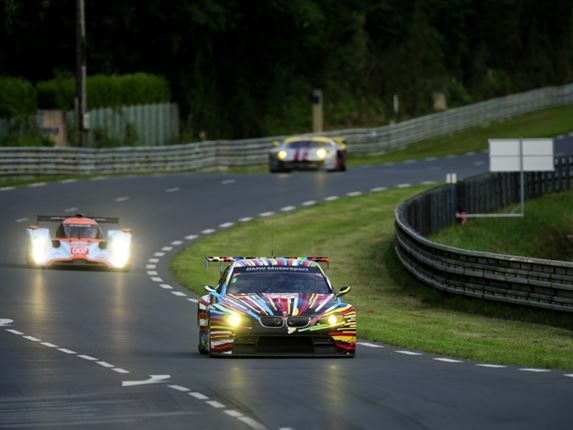 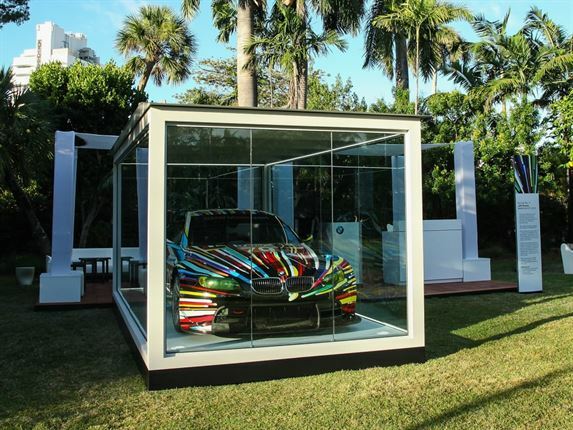 BMW Art Car, 2010 (BMW M3 GT2), A.R. 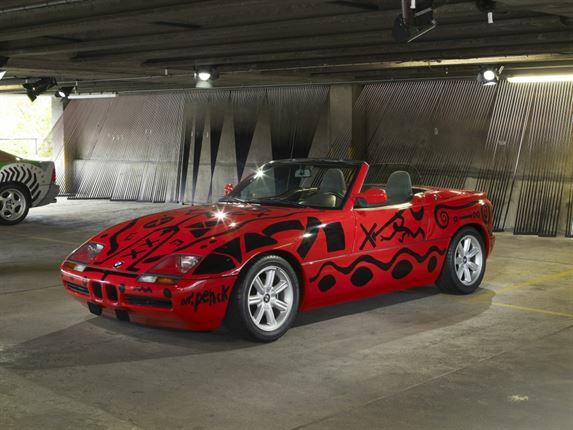 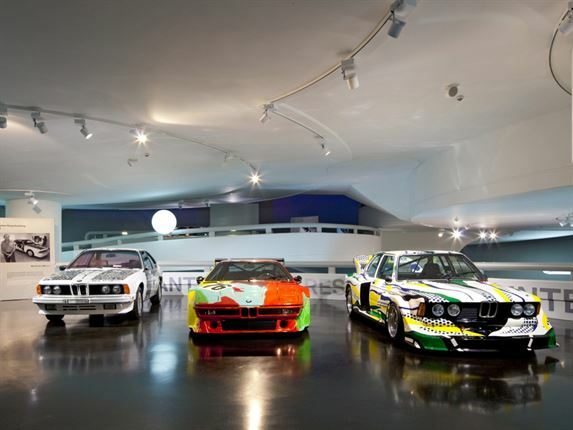 Penck, Art Car, 1991 - BMW Z1, César Manrique, Art Car, 1990 - BMW 730i and Ernst Fuchs, Art Car, 1982 - BMW 635 CSi. 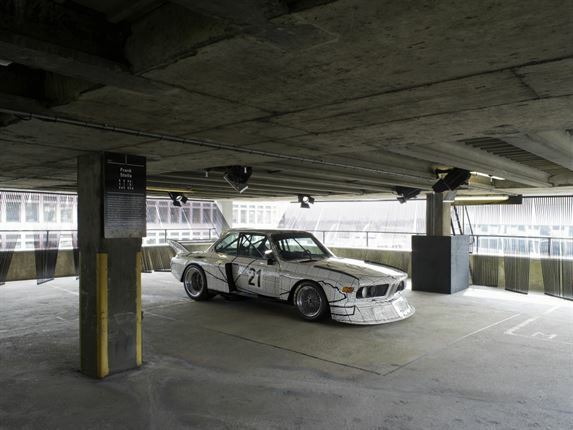 Image: BMW. 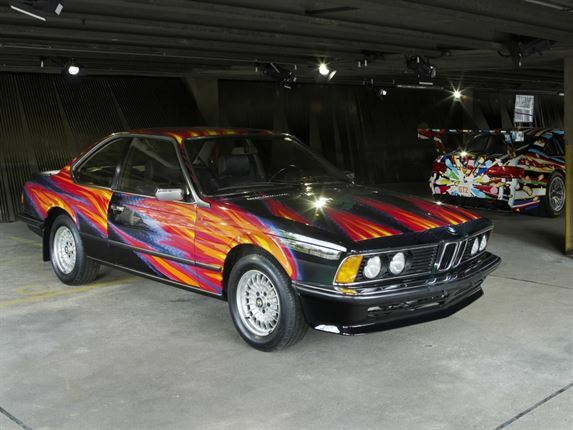 ART DRIVE! 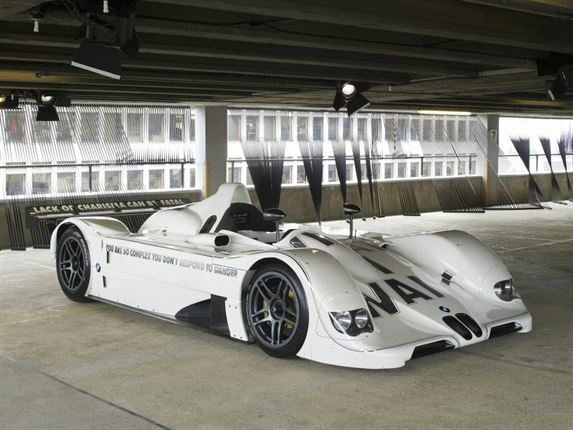 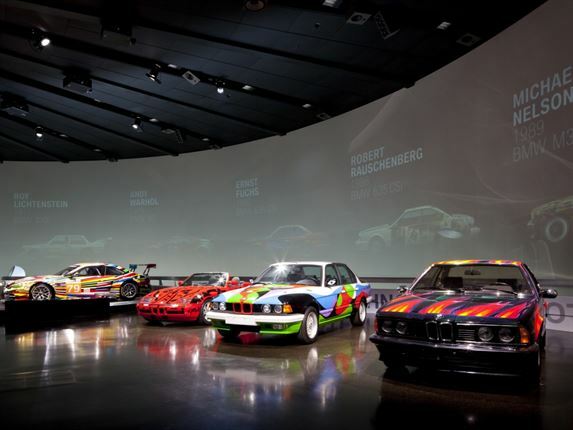 The BMW Art Car Collection from 1975-2010 on display in London, England in 2012. 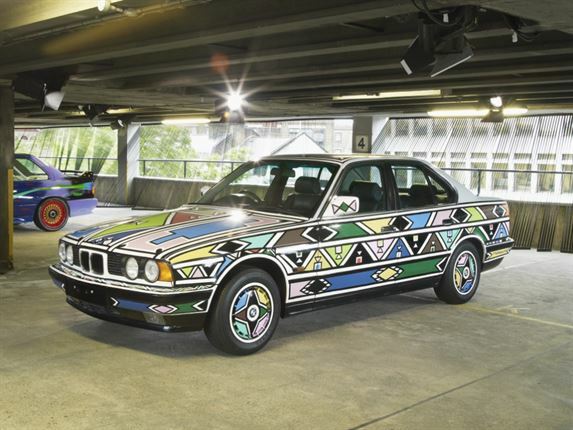 Pictured here is Esther Mahlangu's, BMW Art Car, 1991 - BMW 525i. 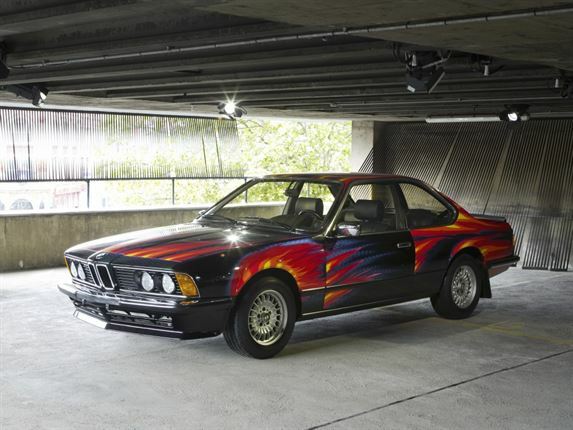 Image: BMW. 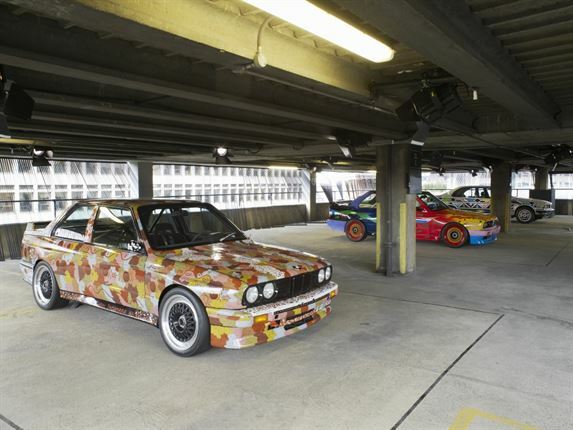 ART DRIVE! 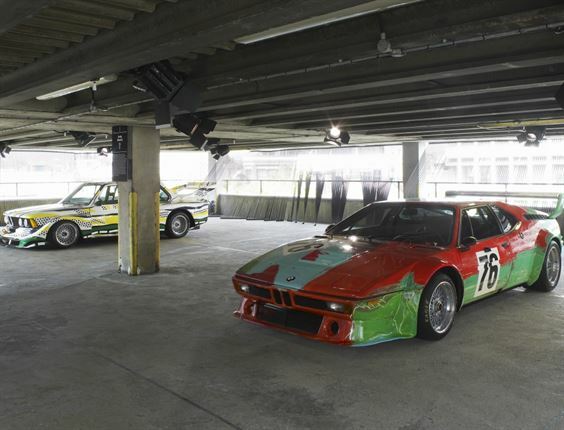 The BMW Art Car Collection from 1975-2010 on display in London, England in 2012. 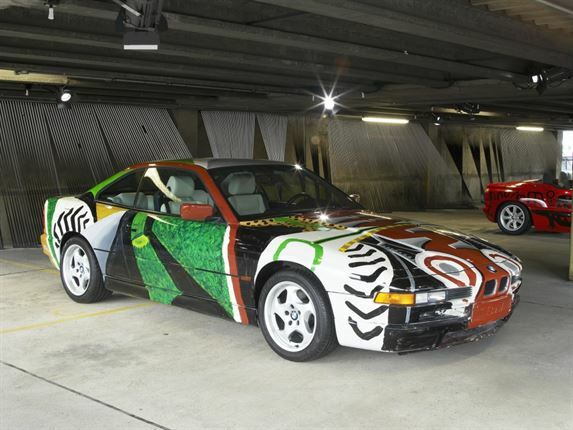 Pictured here is Michael Jagamara Nelson's BMW Art Car, 1989 - BMW M3 group A racing version. 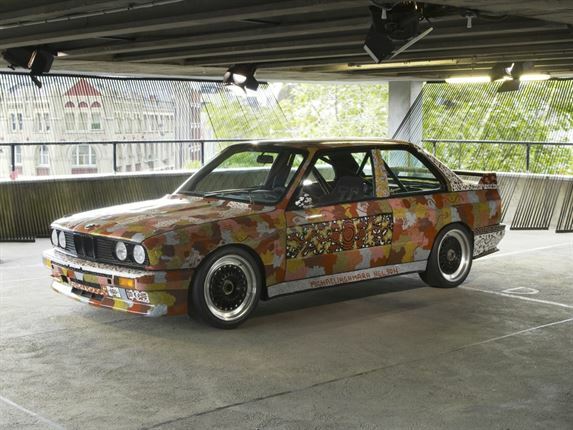 Image: BMW. 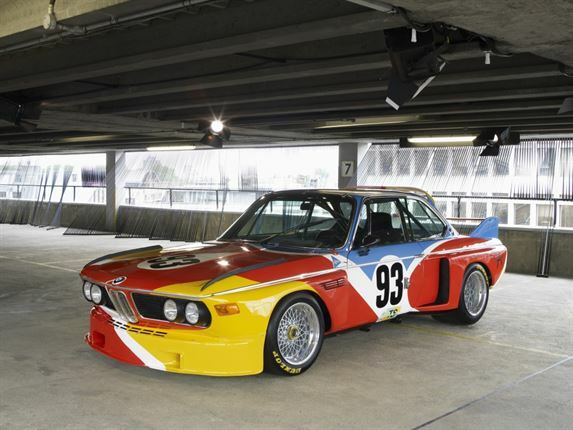 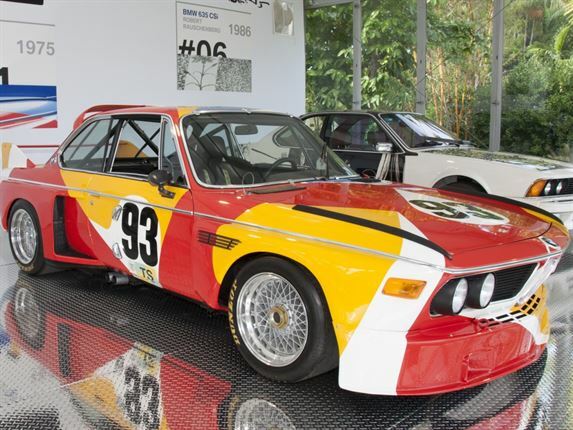 Alexander Calder's BMW Art Car, 1975 - BMW 3.0 CSL. 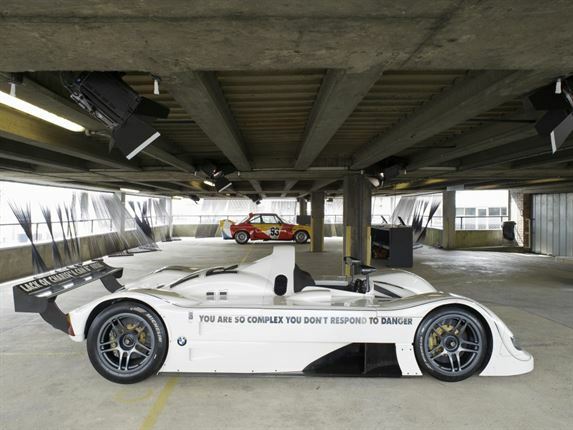 Image: BMW. 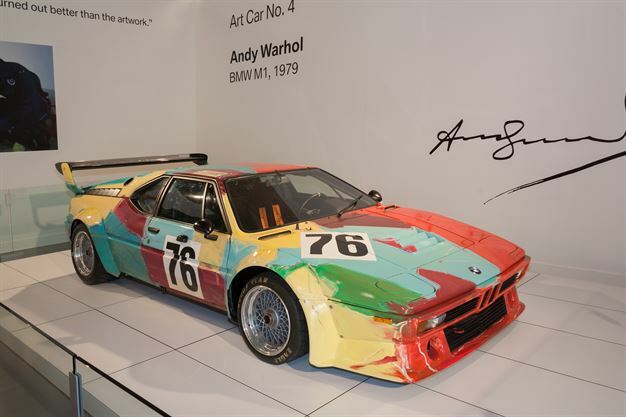 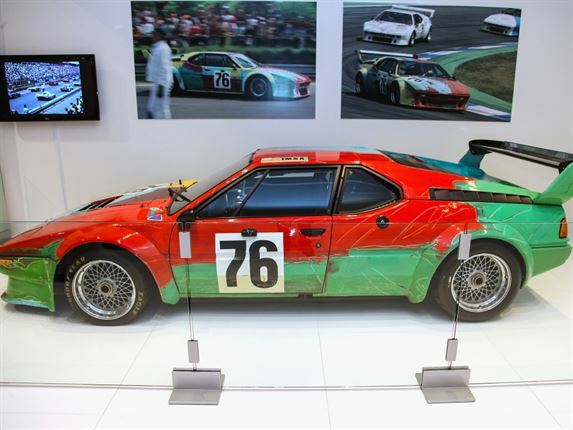 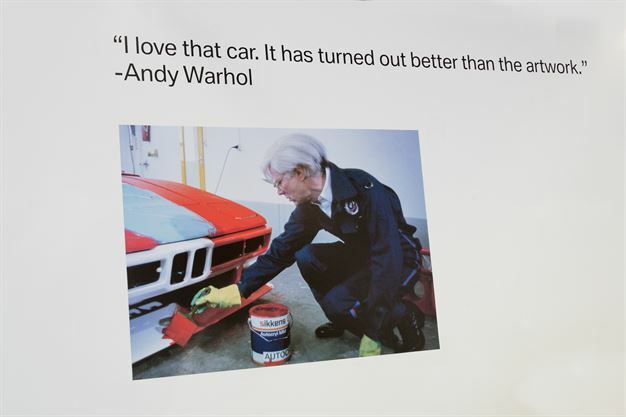 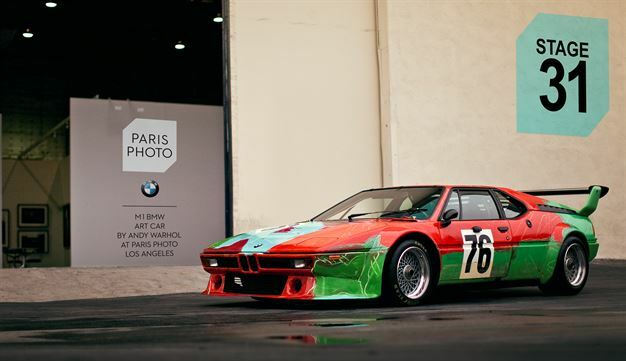 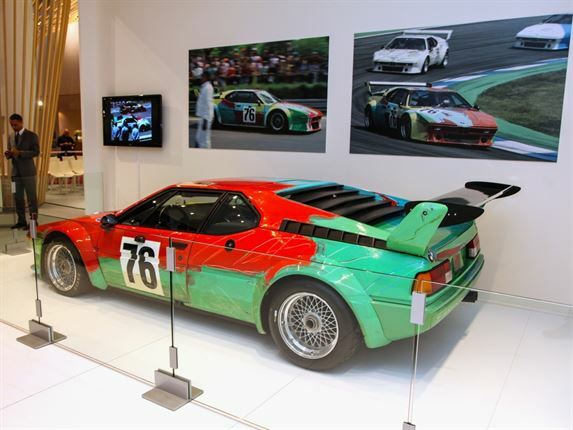 At Paris Photo Los Angeles, BMW shows its M1 BMW Art Car by Andy Warhol. 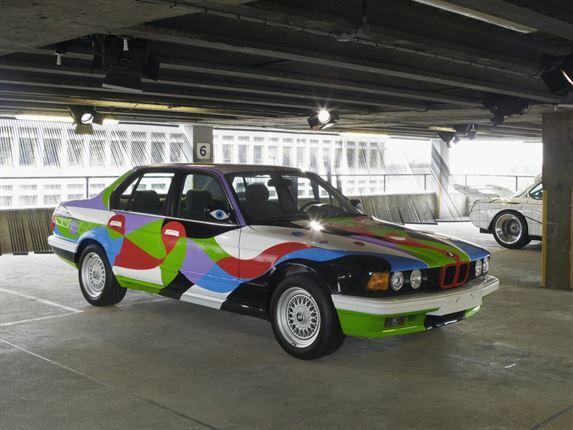 The unique car was created by the pop artist in 1979. 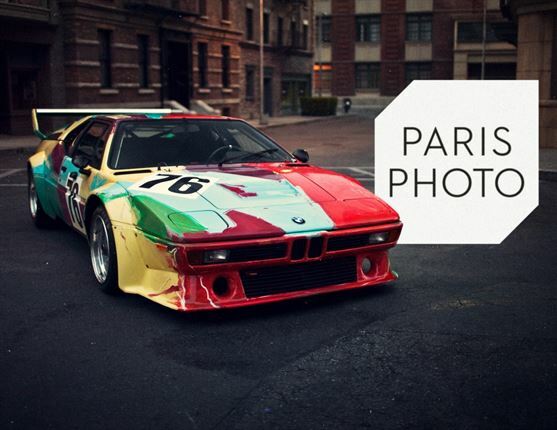 The fair takes place from April 25-28, 2013 at Paramount Pictures Studio. 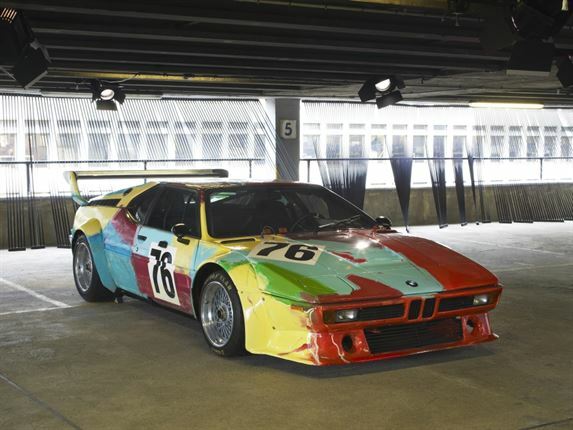 ANDY WARHOL'S BMW M1: The M1 BMW Art Car by Andy Warhol, photographed by Mike Burroughs and Andrew Ritter at the Paris Photo Los Angeles at Paramount Pictures Studios - April 2013. 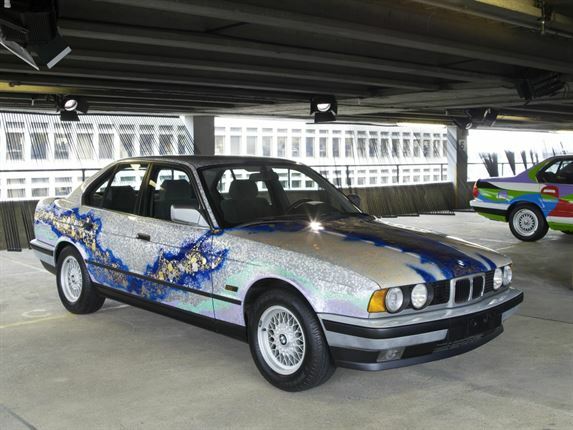 Image: Donald Bowers / Mike Burroughs and Andrew Ritter.